That’s the focus of a new study that projects as many as 13.1 million Americans could become climate refugees by the end of this century, an influx of people that could stress inland cities, particularly those already grappling with population growth, urban development, traffic congestion and water management. While other research has assessed sea-level rise with the goal of planning critical infrastructure to protect fragile populated coastlines, this study is believed to be the first to model the destinations of millions of displaced coastal migrants. Net changes in population by state due to migration from sea-level rise. The study predicts that Atlanta, Houston and Phoenix will be among the most likely destinations for climate refugees, whether for the short or long term. Net changes in population by metropolitan area due to migration from sea-level rise. The study estimates both the number and destinations of potential sea-level rise migrations in the United States during the coming century. “I used IRS county-to-county migration data to project future migration patterns using a time series model,” Hauer explained. “The projected migration patterns are sort of like pipes in a plumbing system. They tell you where water could go, but not how much water.” The “water” in this analogy comes is the estimated number of Americans at risk from sea-level rise. Projected migration linked to sea-level rise by state. Florida is expected to produce the largest number of migrants. 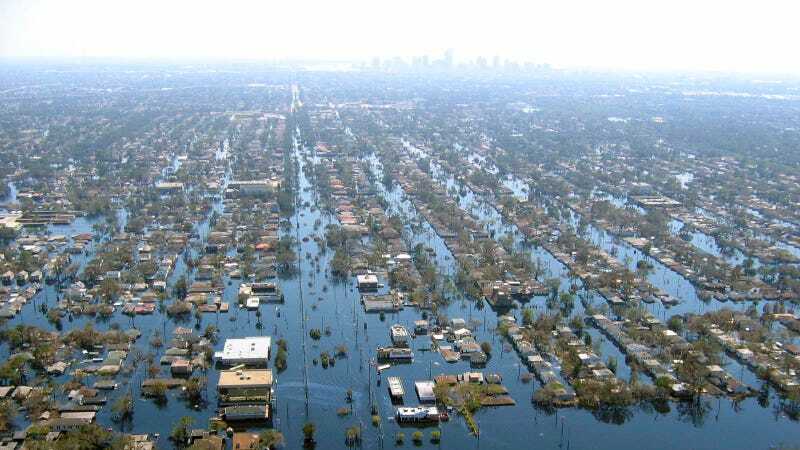 After Katrina struck New Orleans in 2005, as many as 400,000 residents evacuated, some temporarily, some permanently, many to live with friends and family, others to places unknown. No comprehensive records exist of their destinations. Many people did come back to the city, although not necessarily to their former homes. African-Americans in particular returned at a much slower pace than their white counterparts, because their homes had been in neighborhoods more severely damaged by flooding. Income levels also play a role. The new study estimates that coastal residents with an annual incomes of more than $100,000 might be better able to invest in protective measures against sea-level rise and, as a result, less likely to migrate. Kevin Trenberth, a noted climate scientist at the National Center for Atmospheric Research, who was not involved in the study, said that numerous factors influence and complicate migration trends following a flood. Michael Mann, a climate scientist at Pennsylvania State University, who was not involved in the study, said the research “begins to connect the dots” when it comes to the impact of climate change on migration.